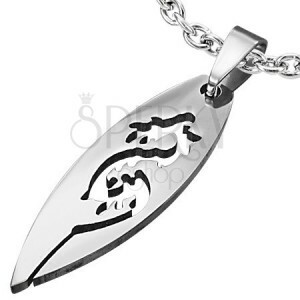 Pendant made of surgical steel, shiny mirror-like big grain with cutout motif of Chinese dragon. 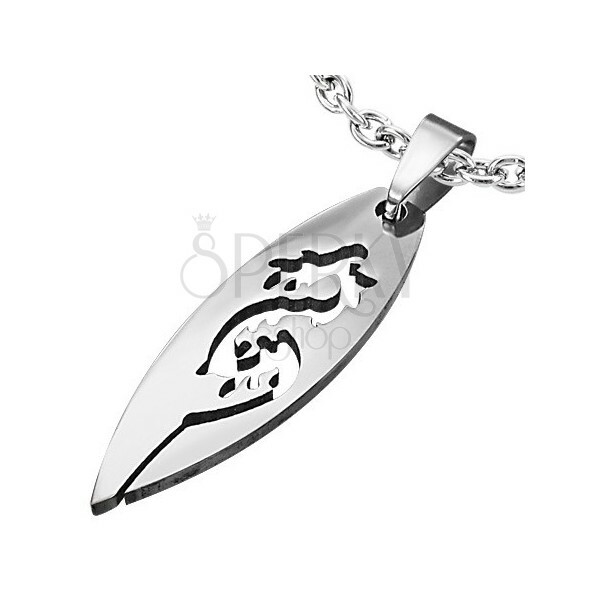 The pendant made of 316L steel in silver colour has shiny smooth surface. It is composed of a big grain with cutout in shape of a Chinese dragon with wavy body. The pendant clasp is in elongated shape.